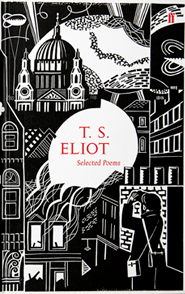 Selected Poems by T.S. Eliot — Camper Reads: Reading With Intent. I have found a new favourite poet in T.S. Eliot, and can’t wait to explore his works further. The excerpt featured is from my favourite poem in this selection and the poetry is reminiscent of it’s time, however Eliot was quite a modern thinker, and his words fit in well with the current climate. We must all read Eliot’s work at least once in our lifetime. His poems are thoughtful and practical with a philosophy that can (and should) be applied in contemporary society.